Do you have trouble sleeping? Can't fall asleep or wake up after only sleeping a short time and can't fall back asleep? I have that trouble fairly often but i don't like to take chemical medicines or habit forming medicines to help with sleep. When I read about AhSleep I was excited to try it out. 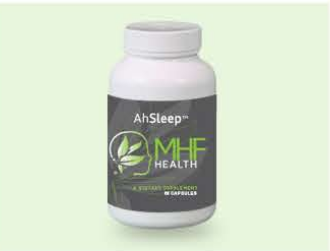 AhSleep was originally formulated for patients in addiction treatment who suffer from insomnia. It was so successful that it's being offered to the public now. It is a unique natural formula that is non-addictive and safe to use with almost all medications. AhSleep addresses the brain chemicals that regulate sleep. It enables your body to restore and balance these chemicals for healthy natural sleep. You don't feel groggy upon waking like other sleep medications. I received this product for free and will be compensated for an honest unbiased review.